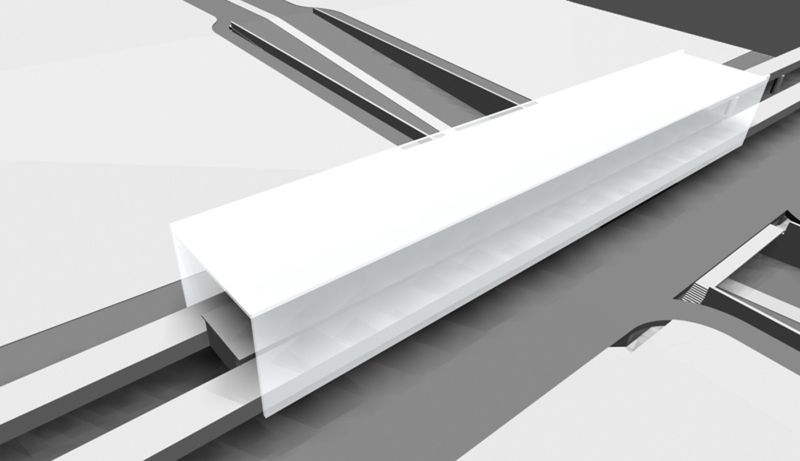 Sertório Station was a 4th year studio exercise that proposed a subway station for the projected line 2 in Porto Alegre. 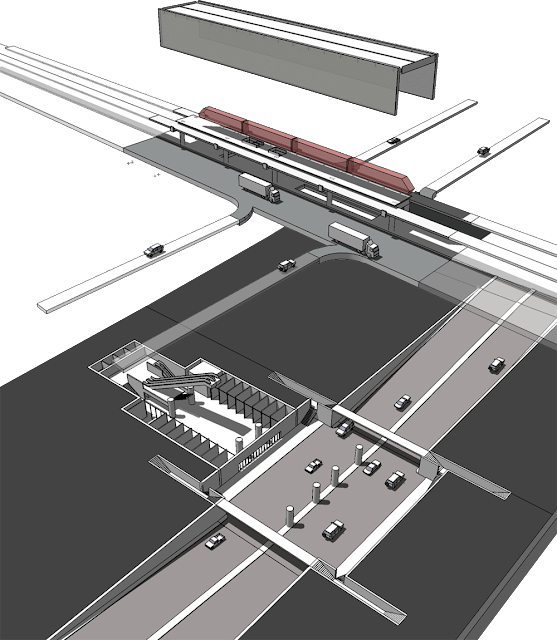 Among the planned stations, we chose to work with Sertório Station, at the junction of Sertório Ave and Assis Brasil Ave, two of the main arteries of northern Porto Alegre. The subway line at this point could be whether an elevated line or a surface line, and the first solution was considered in the design. Our first challenge was to conceive a building that wouldn't deteriorate even further the urban context, softening the presence of a railway line in the middle of Assis Brasil Ave. Thus, we opted for underground access to the station, leaving street level visually free. Anticipating that traffic on site will only increase, for it is the city's natural expansion axis, the design also proposes a tunnel, where Sertório Ave runs 6.5m below Assis Brasil Ave. 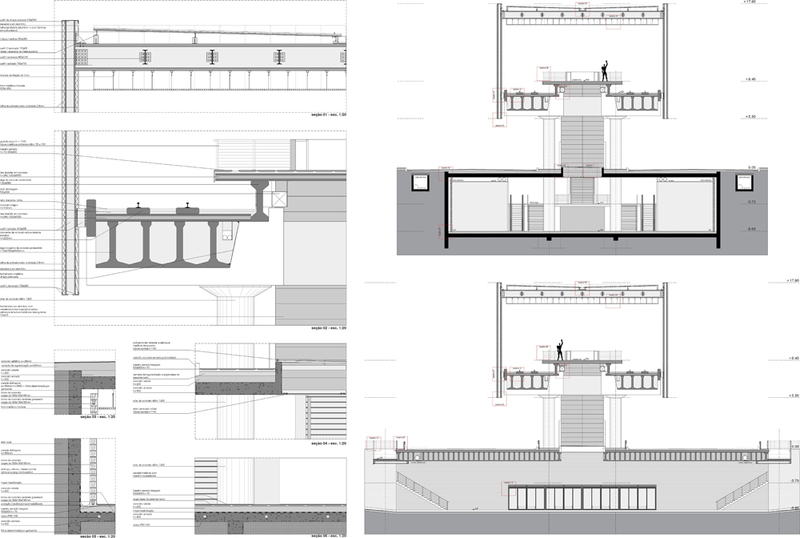 Considering that the area surrounding the station is not yet fully developed, and that it will certainly change significantly in the coming decades, the station was designed for dialoguing with different environments. For this, it needed neutral, simple lines. The brick volume with translucent polycarbonate façades is both discreet and stylish, lightweight, and does not pollute the urban context. Access to the station takes place on four points on the sidewalk of Assis Brasil Ave, one in each corner of the intersection. A combination of tunnels and walkways allows pedestrians to cross both avenues without crossing vehicle lanes. 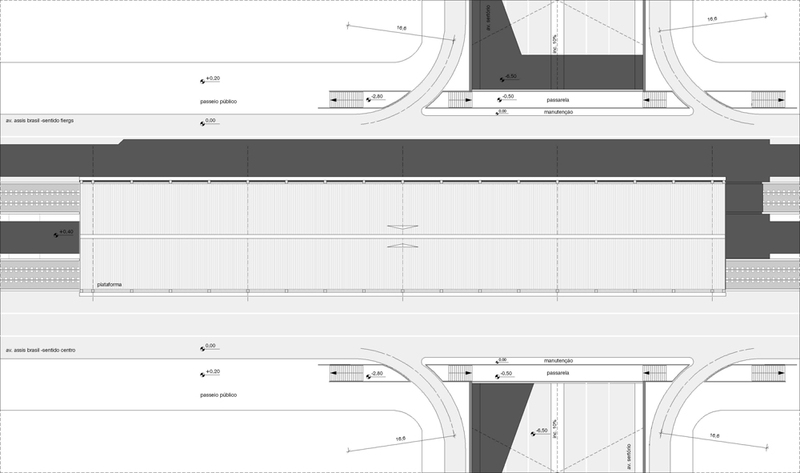 At the level of Sertório Ave, where the entrance to the station is located, below Assis Brasil Ave, integration bus stops are planned. Universal access is promoted with inclined platform lifts. The design identity is forged by the presence of light and its effects on the translucent façades and skylights, the use of natural lighting, and the concern with thermal comfort, translated by the selected materials and the ventilated façades.